TOP 18 Songs for your October playlists! Music is an indispensable part of our lives and that’s the reason we always crave for more and the hunger for the best tunes, never dies, in our hearts and also in our ears! Though the modern-day world of music has become ‘bandwagon-ish’ place, there are still catchy and amazing songs that get stuck by your mind and force you to keep them on loop, whenever you feel to have a rhythmic time in your busy schedule of the day. This year has seen a lot of singing sensations, like each year, but some voices have just stood out from the rest. And that’s why they are on most people’s favorites lists when it comes to the best songs to get hooked on to! Apart from this year’s hit numbers, there are also some, from last year, which is still the best and ruling the countdowns. Artists like Ariana Grande, BTS, Calum Scott, Kesha, Dua Lipa and an array of a new talent has kept this year lively with their astounding experiments and great music in their songs. New artists like Kim Petras, Sody, Zhavia, ODESZA, and James Arthur have also emerged in the sunshine among the other already established voices and names. They are really working a lot to bring fresh and new surprises to your ears. 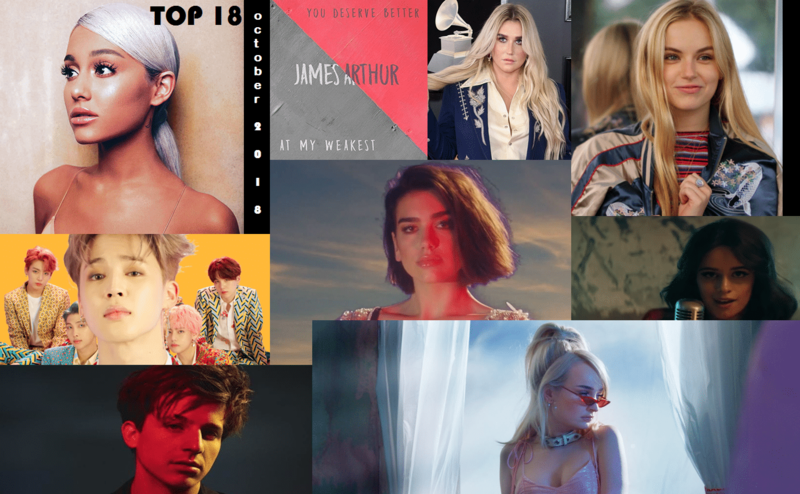 Check out the latest, TOP 18 songs which you can paste in your favorites playlist, this October! Can SomeOne Choose To Play Garena Free Fire In Place Of PUBG MOBILE And Still Have The Same Experience As Of PUBG?